DESPERATE call for DRIVERS for this walk!! If nobody else volunteers for driving we may have to cancel the trip :_( On Thursday I will send an email to all the people who has signed up with the resolution. Join to this day-out hike and meet the White Horse Hill and Ashdown Park by the hand of our National Trust guide Nan Pratt. This park is home of Neolithic tombs, dragon legends, Giant’s Steps, Bronze-Age ginormous art, and Iron Age remains (extended info at the end of the post). 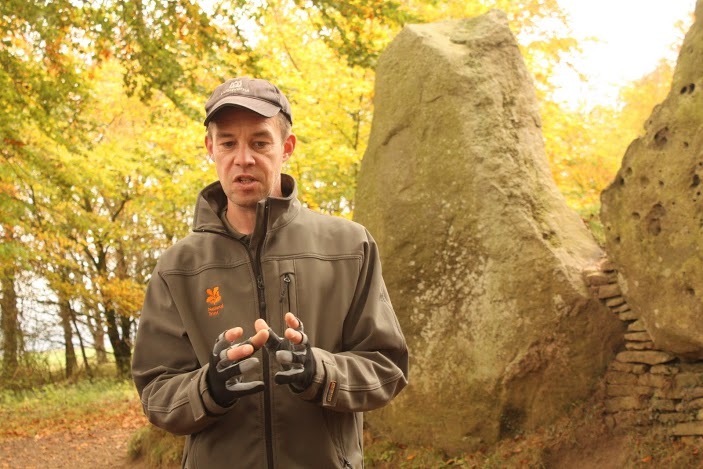 Tomb of Wayland’s Smithy explained by our National Trust Ranger Andy Foley. 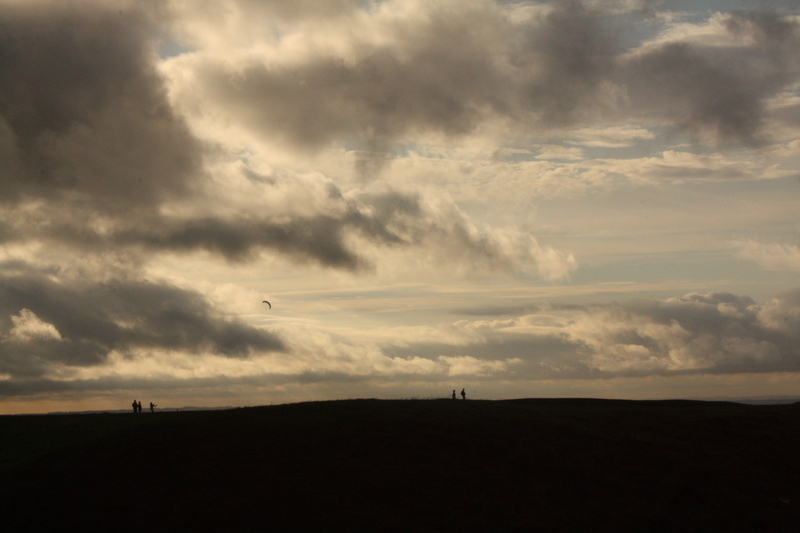 White Horse Hill and Ashdown Park, Uffington. October 2011. Uffington Castle. White Horse Hill and Ashdown Park, Uffington. October 2011. Sign up at: Email walking@cranfield.ac.uk with “Belen – White Horse” in the subject title and your phone number in the body. If you have a car and you volunteer to drive people to the destination, state so in the email please. Fuel and parking expenses will be covered by the club. This walk will only be possible if we have sufficient drivers. The places will be given by sign-up order. However, drivers will have priority as without them we cannot get to the destination. Limited places. Meal provided? : No. Although we are going to stop in a cafe or pub before and after the walk, you will need packed lunch. As always, take sufficient water and energetic food (chocolate, nuts, etc.) with you. Gear: Comfortable and waterproof clothing. As always, we recommend wearing hiking boots; The weather may be rainy and the terrain muddy. You may want to take spare clothes with you just in case you get soaked. The Manger, a dramatic dry valley has steep rippled sides left from the retreating permafrost during the last Ice Age. These ripples are known as the Giant’s Steps. To the east of the Manger lies Dragon Hill, a small roundish hill with a flattened top. It is said to be the site where St. George, England’s patron saint, slew the dragon. The blood poisoned the ground and left a white chalk scar for all to see. Crowning White Horse Hill is an Iron Age hillfort known as Uffington Castle. A simple design of one rampart and ditch, the castle at 860 feet (262m) above sea level forms the highest point in Oxfordshire, with views for miles around over six counties. Across the property Burial Mounds can be spotted. These date from the Neolithic period and have been reused up to the Saxon age. The largest contained 47 skeletons and this can be seen as you walk up to the Horse from the car park, if you look carefully. This entry was posted in Blog, Local walk, News, Past events, Walks and tagged age, ashdown, bronze, castle, chalk, dragon, giant, hill, horse, iron, legend, national, neolitic, park, smithy, tomb, trust, uffington, Wayland, white.